Star Wars vintage 2011 from Kenner. 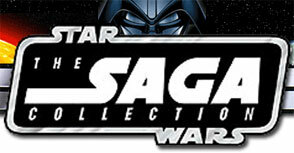 Celebrate the legendary Star Wars saga that changed the universe forever! This collection brings to life the incredible story of good versus evil that captured our imagination and took us to a galaxy far, far away. Iconic Star Wars heroes and villains are captured with incredible detail and premium features to commemorate each epic tale in the Star Wars saga. May the Force be with you!